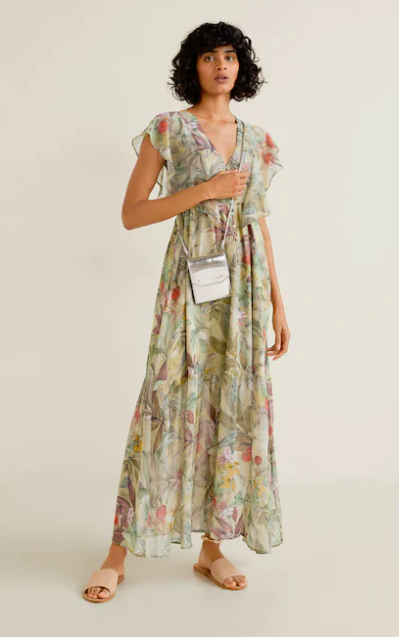 Rixo is the dress brand du jour but it's not quite as affordable as we'd like. That's why these Rixo dress dupes make us happy. Laura Whitmore wore a Rixo dress and we fell in love. It's available to buy, but there's a problem; our budgets don't quite stretch to it. Here's a reminder of that truly gorge dress Laura Whitmore wore. 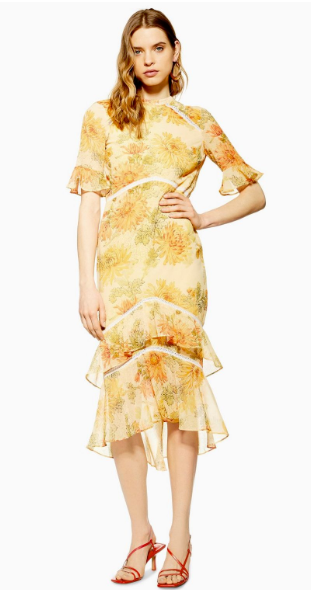 It's the definition of spring dress: floaty, floral, light and bright. She wore it with a denim jacket and silver boots and we want to wear a replica for our St. Patrick's Day festivities at the weekend. 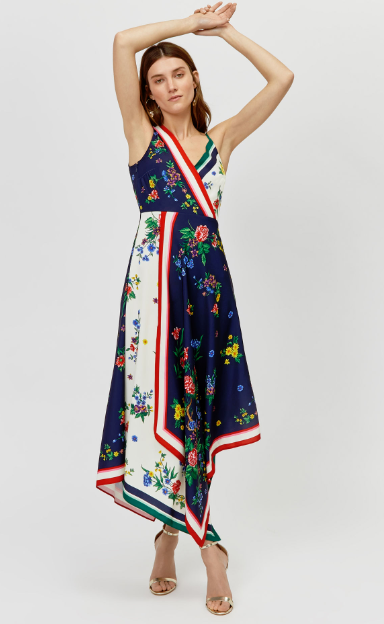 Because of our unhealthy economic circumstance, we can't buy the exact dress, but we've found a heap of Rixo dress dupes that have reached the high street at just the right time. By the way, we've found the going-out top that you will wear all summer. We are in love with Laura's dress, but we'll take any of these high street dresses inspired by Rixo. We're thinking of all the situations we can wear them and all the ways we can style them. We'll be making like Laura and dressing it down with a casual jacket and boots (and white runners for those lazy summer days when you still want to look cute). We can wear them to summer weddings with little more than a strappy sandal (these ones are best). For now, we'll wear them to work with a cardigan, black tights and sock boots. 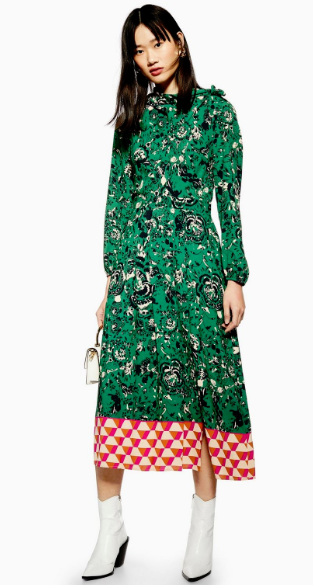 Rixo dresses aren't all floaty and flowery. One of the most popular styles at the moment is the two-tone pattern (like this Gucci dress Saoirse Ronan wore last year, but mid-length). What's your favourite Rixo dress style? What do you think of the high street dupes?